...is made from 100% Red Maca roots. Instead of being sundried, these roots are fresh processed immediately after harvest. After coming out of the ground they are cleaned in a citrus solution, ground into a pulp and low temperature dried. This special processing leaves more glucosinolates in the final product. 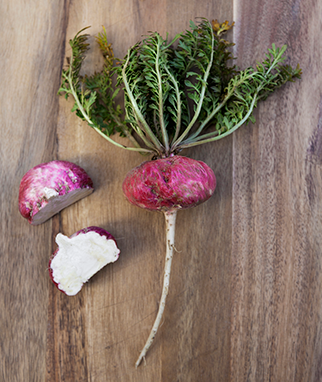 After these roots are dried they are then “gelatinized.” Gelatinization is a process in which Maca is heated to high temperatures (160F / 70C). 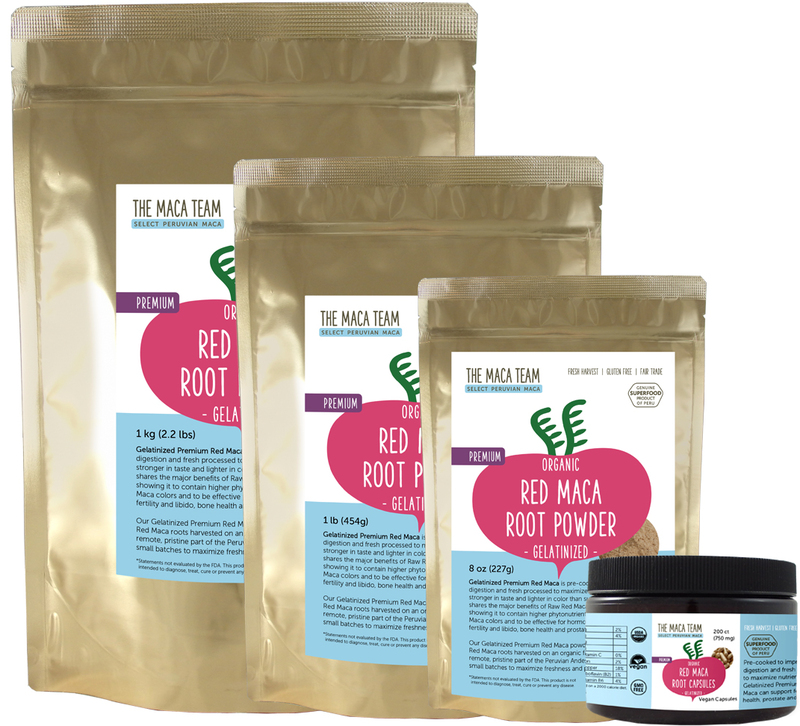 The heat causes the starch molecules in Maca to irreversibly dissolve and the result is a powder that has had some of its nutrients compromised but is easier to digest than raw Maca. It’s important to note that nothing is added to Maca during the gelatinization process. Another significant difference of Red Maca and Yellow and Black Macas is the taste. Most people find the taste to be sweeter, gentler and more mild.